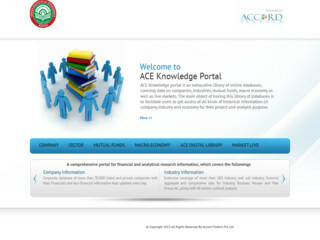 It is a Browser based Knowledge Portal. The Online database covers latest and historical data of Companies, Sectors, and Mutual Fund information, Macro Economy and Live Markets. The Portal serves as a platform for historical information on companies, industries & economy.